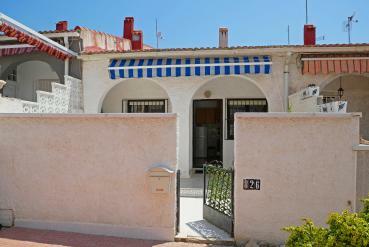 Are you looking for a rental or for sale property on the Costa Blanca or Costa Cálida? Our real estate agency in La Siesta offers the opportunity to fulfil the dream of living in a home located in the southeast of Spain. Many are the people who have decided to convert this area of the Spanish peninsula, in their city for holidays or rest. Now you and your family can live, in the first person, the advantages of residing in a place where the sun and the sea are the protagonists. Our quality properties are distributed throughout the Mediterranean coast. More than 50 Spanish locations await you so that the happiness and quality of your life, and that of your loved ones, increase. Torrevieja, Orihuela Costa, Los Alcázares or San Javier are some of the many locations where our properties are located. A quality home, located in a formidable area, under a great climate. Is your dream? So we help you to fulfil it. If something is proud our real estate agency in La Siesta, is the experience we have in the sector of the sale and rental of real estate. We have been offering our services as 'Casas Espania' for 6 years, but we have been experts in this sector for more than 50 years. Our work has always been and will be to offer, or try to offer, the best possible deal for the client. From the first contact, our real estate agents will work to find the property that best suits your tastes and needs. Our intention is that our property suits you, not the other way around. How to contact the real estate agency in La Siesta? Do not wait any longer and begin to fulfil the dreams you have always wanted to make a reality. Contact us and discover all the details that contain our properties.